DEFENDING Champions Dynamos are set to lose a number of their star players during the mid-season transfer window with midfield work-horse Stephen Alimenda and Ronald Chitiyo set to join South African clubs. 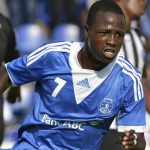 Chitiyo is expected to join Cape Town Ajax while Alimenda is due to go for trials with Maritzburg United. Edzai Kasinauyo, who manages a number of local players especially those playing for Dynamos, confirmed Tuesday that the players had attracted interest from some clubs in South Africa adding negotiations were underway. “We are in the middle of negotiations with some clubs here (South Africa) who have shown interest in them,” said Kasinauyo. “There are a couple of players who have attracted attention but I cannot name the players nor the clubs for now because it will jeopardise the negotiations. Dynamos are bidding to defend their league championship and losing some of their key players after the departure of goalkeeper George Chigova to Supersport would be a major blow to their title defence. 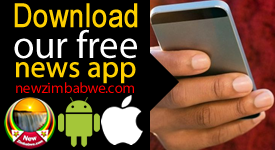 The Harare side share top spot with leaders Hwange and How Mine with 22 points each from 12 matches. 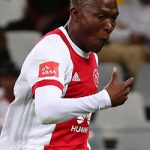 Meanwhile, in South Africa Mpumalanga Black Aces were expected to discuss the future of striker Tendai Ndoro with his agent. Orlando Pirates are said to be interested in the Zimbabwean. It took only 16 Absa Premiership matches for the Warriors international to get the attention of South Africa’s top clubs. 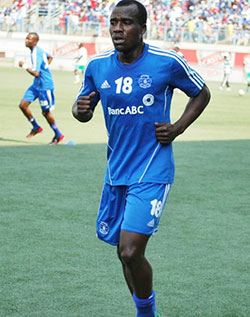 The 26-year-old striker netted seven times for Aces during his first four months in SA’s top flight league. Ndoro’s agent Karabo Mathang of P Management, confirmed to Goal that the lethal attacker was a wanted man. 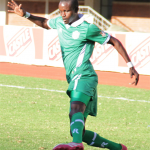 “I don’t know anything about Tendai heading to Europe for trials, but yes, my client Tendai has attracted interest from other teams,” Mathang told Goal. On the other hand, Pirates are still keen on Ndoro. 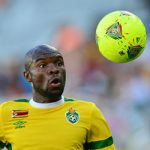 Now a possible deal could be on the cards after Bucs agreed to send striker Collins Mbesuma to AmaZayoni for an assessment. The former Chicken Inn forward will soon be told whether he will be sold or kept by the club ahead of next season. Ndoro, whose twin brother is also a professional footballer based in Botswana, won the 2013 Zimbabwe Premier Soccer League (ZPSL) top goalscorer award, after netting 18 times for Chicken Inn.